You'll be £40.00 closer to your next £10.00 credit when you purchase German Naval Guns. What's this? A visual work hard to overcome. Essential for the modeller or historian. I have not seen anything like it . The total number of illustrations is well over 1000 making this book by Miroslaw Skwiot without doubt the most comprehensive and complete reference work available to model makers, enthusiasts and naval historians, that I have ever seen. This is a really quite spectacular version. It fully deserves the praise appearing on the back cover. This is quite a book, a most impressive production. The superb illustrations contribute very largely to its success. The photographs are supplemented by detailed plans and drawings of the main types of gun and mounting, and by computer - generated illustrations from all angles. These illustrations are in colour and include renderings of the badges mounted prewar on some individually named turrets. 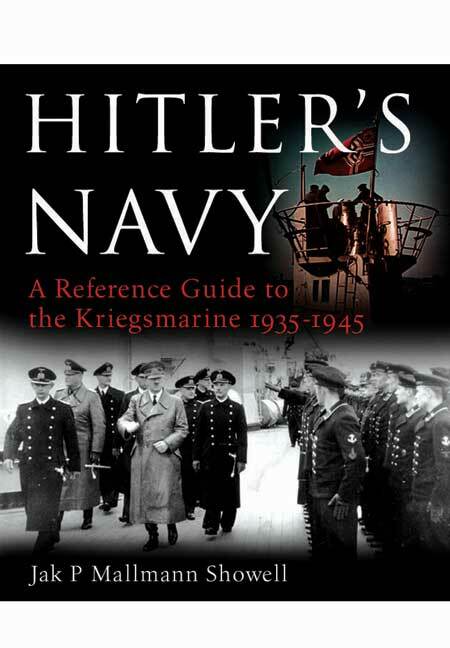 This book is essential reading for any student of naval guns, while anyone interested in the wartime German Navy will find a photographic record of the Kriegsmarine which rivals that in any other publication. Those who already have all four parts of the Polish/English bilingual edition may hesitate, but the hardback will certainly outlast them, and for its size the book is very reasonably priced. An extremely detailed book in the extensive armament of the Kriegsmarine during the Second World War. It is magnificently illustrated with over a thousand diagrams, plans and photographs. The book easily achieves the detailed standard of a technical handbook or gun manual. The book is beautifully laid out to Seaforth's traditional high standards and is strongly recommended. This is, in my opinion, an excellent book and well worth the price. Miroslaw Skwiot is a Polish expert on World War Two naval technology, and having read through this book, I can believe it. I enjoyed reading this book and found it interesting and informative, one that has engaged and fascinated me and one that I will keep dipping into again and again. This is an extremely detailed book. His mastery of technical details is most impressive...strongly recommended. This large format hardback book is a collection of what were originally published in the AJ Press series in 4 volumes, but you can now have them all together in one, in this new 2011 edition from Seaforth Publishing. It is broken down into four sections, with Heavy Guns, Medium Guns, 105mm and 88mm Guns and finally Light Anti-Aircraft Guns. A simple but effective arrangement if you like, starting with the biggest and working downwards. The author is an expert on the German Navy of WW2, and his fascination with the subject and the time he has taken to assemble and check all this information is very clear. 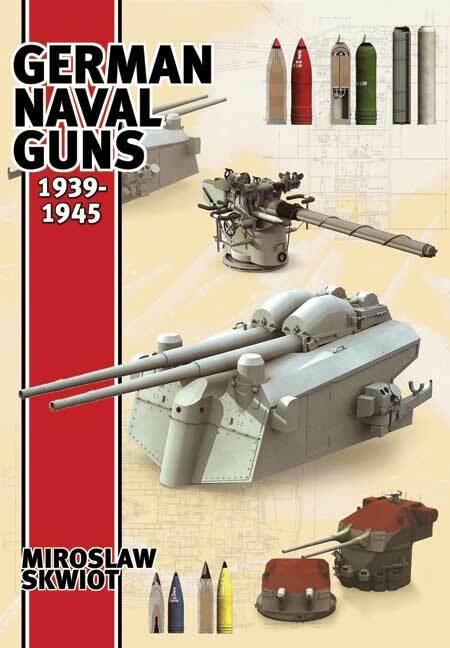 This is very much a complete encyclopedia on the German Naval Gun in WW2. The whole book is heavily illustrated throughout, with a lot of the simply stunning computer generated 3D illustrations in full colour. For an enthusiast, the mix of photos, the computer generated images and the authoritative text makes some fascinating reading. For the modeleller, it is hard not to be impressed by the sheer number and variety of gun mountings that are carried on the decks and superstructures of these large battleships. This is a great book to have on hand. The most striking thing about this book is the illustrations. There are a great number of photographs, the majority, not surprisingly, being onboard shots of the gun mountings, but also including some lovely photographs of the complete ship. There are also a number of views of computer generated 3D models of the mountings which show a great amount of detail, frequently not obvious in photographs, which will be a great help to any modeller. For those intending to model any WWII German warship, this book is a must. Miroslaw Skwiot is a Polish expert on World War Two naval technology, and has written many monographs on both warships and weapon systems.